» Challenge Accepted! We’re Doing The Fiverr Hustle! Challenge Accepted! We’re Doing The Fiverr Hustle! This post is sponsored by Fiverr in partnership with Kasai Media. All opinions are my own. Sometimes an opportunity to step outside your comfort zone and do something new, fun and interesting presents itself and that’s what happened for Little Learning Lovies last month. Keep reading to learn how you can get a FREE personalized learning set from LLL! If you haven’t heard of Fiverr, it’s a great place to hire people to complete some work for you, like designing a logo, creating a video, doing some programming, or even marketing. People with the knowledge to do a task post a ‘gig’ and get hired by other people for as little as $5. Yes! You can hire someone to complete a task for you for as little as $5! Fiverr is pitting 10 lifestyle bloggers against 10 financial bloggers and seeing which team can make the most money with a brand new Fiverr business over the next 60 days. Doesn’t this sound fun? See why I just HAD to say YES?? 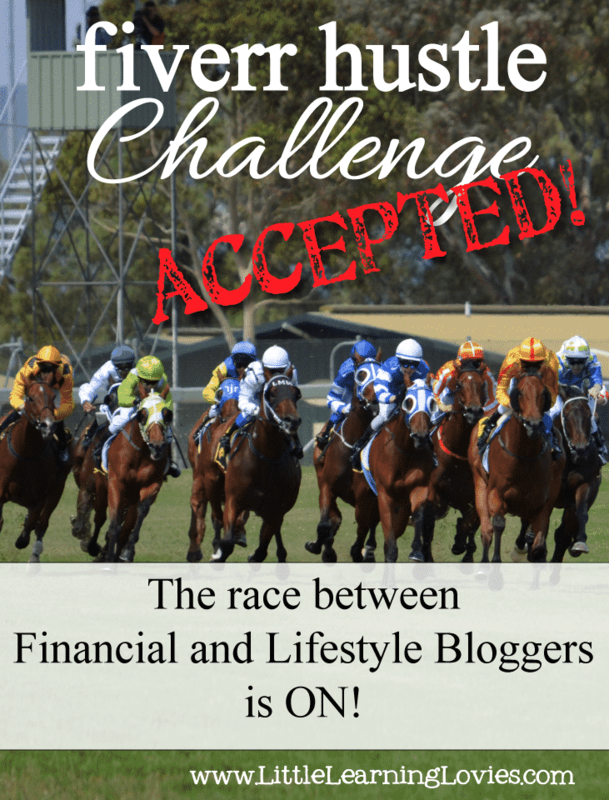 I want to introduce you to the other 9 bloggers on the lifestyle #FiverrHustle team… If you have a minute, consider popping over and wishing them all luck. I think we can win this thing! Isn’t this a great group of bloggers? I can’t wait to go see everything they end up offering at Fiverr. 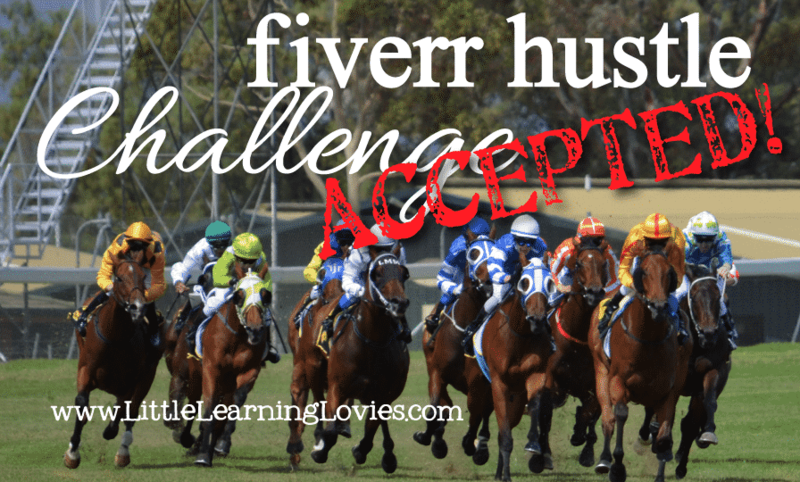 The ten of us are challenged to make more money at Fiverr over the next 60 days than the financial blogger team. It’s a bit of a tall order and to make it work, each of us needs to choose to offer something that is unique so we can stand out from the Fiverr crowd. What is Little Learning Lovies offering at Fiverr? I’m setting up my gigs right now and I’ll update this post once I have them ready, but imagine this: Your child is struggling with addition facts and you want to encourage them with something fun. Let Little Learning Lovies create a game with matching worksheets that not only feature their favorite theme, but even their NAME! We’ll even pay special attention to their specific problem areas to make the set as useful to you as possible. Sounds fun, right? Or how about a set of handwriting practice sheets that feature their name, family names, practicing their address and phone number or favorite quotes from books, facts from whatever you’re studying in history or science etc. Or maybe you love notebooking and lap-booking and you’d like to make sure the result is worth the time put into it by having some custom pages created. Mini-books of all kinds, themed to your topic; journaling sheets with space for drawings, ruled as you need them. Want a Free Gig on Me? Gift Shopping Facebook Party! Beautiful and Affordable! Music Games: Start Reading Music! Build A Menu – Save Money and Eat BETTER!